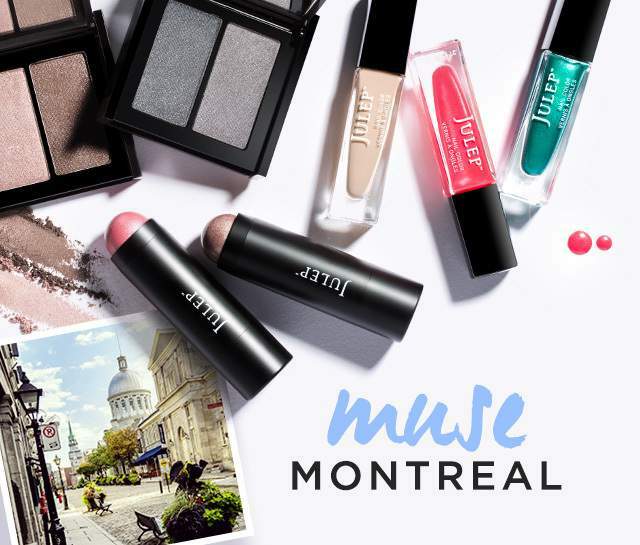 How could I not be excited for a collection based on a gorgeous Canadian city? 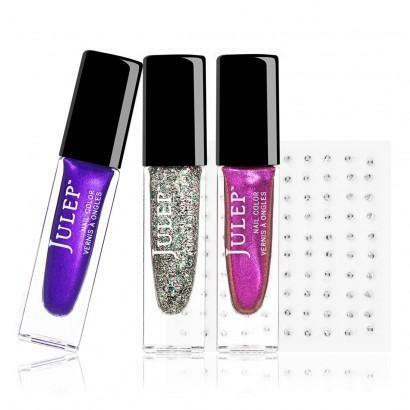 :) This month Julep pulled their inspiration from Montreal and they are presenting us with some lovely bright polishes in a wide variety of finishes along with some fun new beauty products. Want to hear more? Check under the cut to see what's available this month! Julep has a new blush product for us this month, a creme stick that dries to a powder finish. 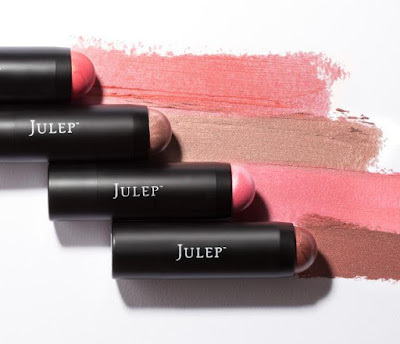 They say it's "a one stick wonder made for luminous, dewy cheeks, but versatile on eyes and lips, too. This soft-focus powder has ultrafine color pearls that go on creamy then set to a long-lasting powder finish. Easy to apply, easy to blend (no brush needed! 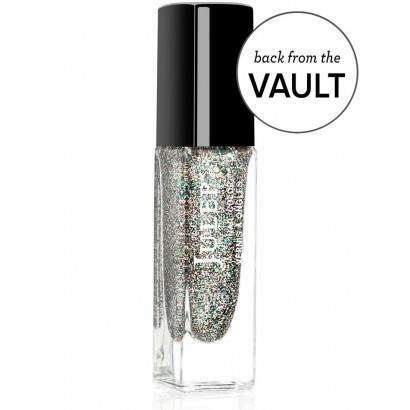 ), easy to keep in your clutch for on-the-go beauty touch-ups." It's currently available in four lush shades - Golden Guava, Moonlit Sand, Peony Pink and Desert Rose. 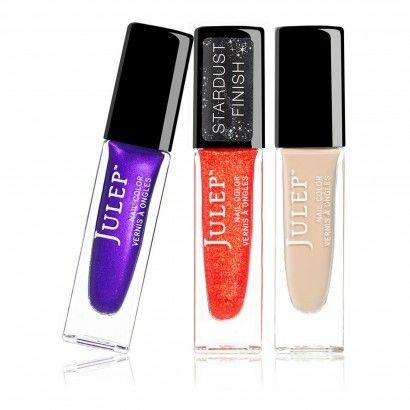 Julep has also put together some new shades of their Feels Like Velvet eyeshadow duos. Lo & Behold, Dark & Stormy, and Champagne & Caviar. Nail Decals – Black Chinle Print: Press on, seal with a top coat. Easiest nail art ever. When Pencil Met Gel – Deep Raisin: Our same Gel Eye Glider formula, now with a catchier name!This rich liner glides on and lasts for 10+ hours. Skip the Brush – Moonlit Sand: A jumbo color stick for a luminous, dewy glow. No brush needed! 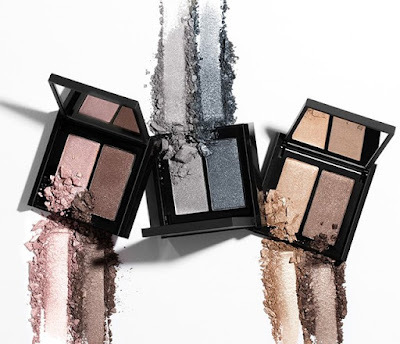 Feels Like Velvet – Champagne & Caviar: A duo of luscious eyeshadows with dense color and all-day wearability. Skip the Brush – Desert Rose: A jumbo color stick for a luminous, dewy glow. No brush needed! Not your color? Pick a different shade! When Pencil Met Gel – Deep Raisin: Our same Gel Eye Glider formula, now with a catchier name! This rich liner glides on and lasts for 10+ hours. Skip the Brush – Golden Guava: A jumbo color stick for a luminous, dewy glow. No brush needed! Not your color? Pick a different shade! Skip the Brush – Moonlit Sand: A jumbo color stick for a luminous, dewy glow. No brush needed! Not your color? Pick a different shade! Skip the Brush – Peony Pink: A jumbo color stick for a luminous, dewy glow. No brush needed! Not your color? Pick a different shade! My choices for this month were Mari (the pink holo) and Cally (the fuchsia chrome) and I also grabbed the last deep red Plush Pout that I was missing from my collection - Cardinal Red.